If you thought this month couldn't get any better, it just did for many people. If you're a fan of Animal Crossing, the Sims, or any other life simulator, you'll love this new 3DS title coming to the west: Tomodachi Life. Tomodachi Life is a new 3DS sim that allows you to create Mii characters of your family, your friends, and anyone you can think of and watch them interact on the island. They move in, become friends with other Mii characters, and eventually find love. Almost anything and everything could and most likely will happen in Tomodachi Life such as being the star of your own rock concert and getting into arguments with other Mii characters. That's just the tip of the iceburg, though, because the Mii customization is where the game really comes to life. 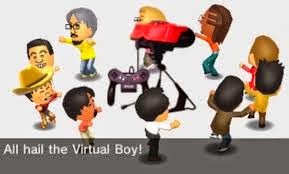 After you create a Mii, you will be able to choose it's attitude, voice and catchphrase. It's how the game shines light on Nintendo's very own avatar creator and gives it a new touch with an Animal Crossing feel. Tomodachi Life releases in the United States and Europe June 6th. Watch the direct below.